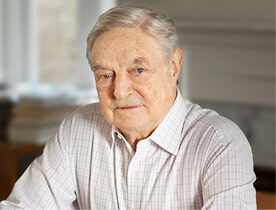 Throughout the violent financial disruptions of the past several years, three men have stood out as beacons of judgment and wisdom: Warren Buffett, George Soros, and Paul Volcker. Though their experiences and styles vary—Buffett is the canny stock market investor; Soros is the reader of shifting global tides in trade and currencies; and Volcker is the regulator and governor, sheriff and clean-up crew—they have very much in common. All three men have more than fifty years of deep involvement in markets. All are skeptical of Wall Street frenzies. They believe that markets tend to be right, but usually only over the medium term. They have seen too many cycles of herd-driven, emotion-riding booms and busts to make their views hostage to the sweeping and simplistic assumptions of “efficient-markets” models. With the benefit of his own deep understanding of markets and finance, Morris brilliantly analyzes the records of these men, distilling their wisdom and experience—and argues for the importance of consistent values in navigating the treacherous terrain of today’s globalized world.